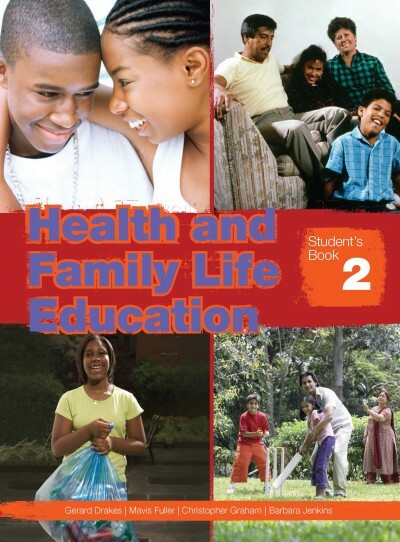 Health and Family Life Education attempts to meet some of the challenges facing Caribbean societies today, including the HIV and AIDS epidemic, rising levels of violence, health and environmental problems. HIV in the Caribbean is increasing at a rate second only to sub-Saharan Africa and HFLE can be a major vehicle for preventive education in schools. Research has shown that life-skills education can positively affect behaviours such as high-risk sexual behaviours, drug abuse, anger and conflict management, and improve social responsibility and academic performance. It can increase awareness of the choices available and encourage responsible decision making. The course is interactive and participatory, using mini-stories, case studies and other stimulus material, discussion, personal reflection and other activities to build on students’ own experience and encourage them to take an active role in their communities. It aims to build healthy attitudes, motivation, values and life skills as well as teaching information, to enable students to cope better with the complex world in which they will operate as adults. The Teacher’s Guide provides sections on teaching methodologies and strategies, participatory learning, assessment, and lesson notes for each theme and unit in each year, as well as additional information about teaching life skills and background factual information. The authors: the authors are experienced Caribbean teachers and educators. Between them they have experience as professional writers, teacher trainers, curriculum developers and implementers of Ministry initiatives. They are also all passionately committed to Health and Family Life and HIV and AIDS Education. For the Teacher’s Guide and Workbooks they have been assisted by Clare Eastland, a writer with considerable experience in producing materials and training teachers in HIV and Health Education.